I’ve seen some serious late leafspot this week in peanuts. 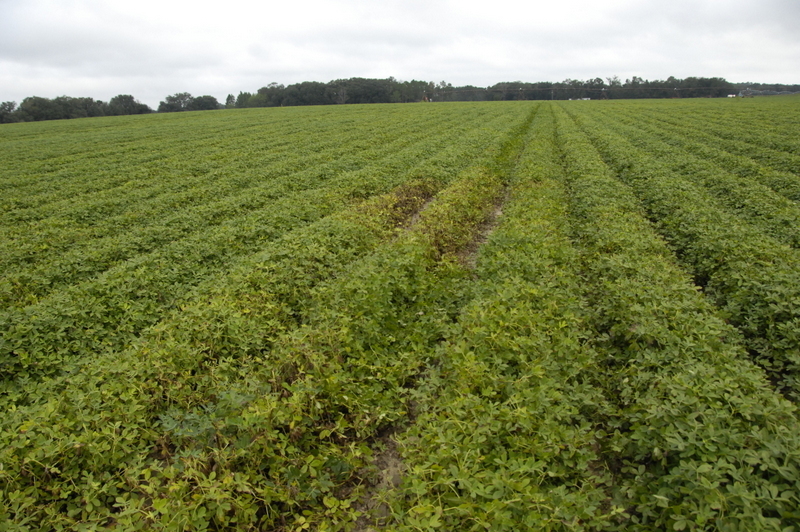 Late leafspot has the spores on the bottom of the leaf and can quickly defoliate peanuts. Our chemical fungicide usually protectants do a good job with this. I suspect what happened in some fields is that the sprays were washed off just after being sprayed on due to all the showers we’ve been having. 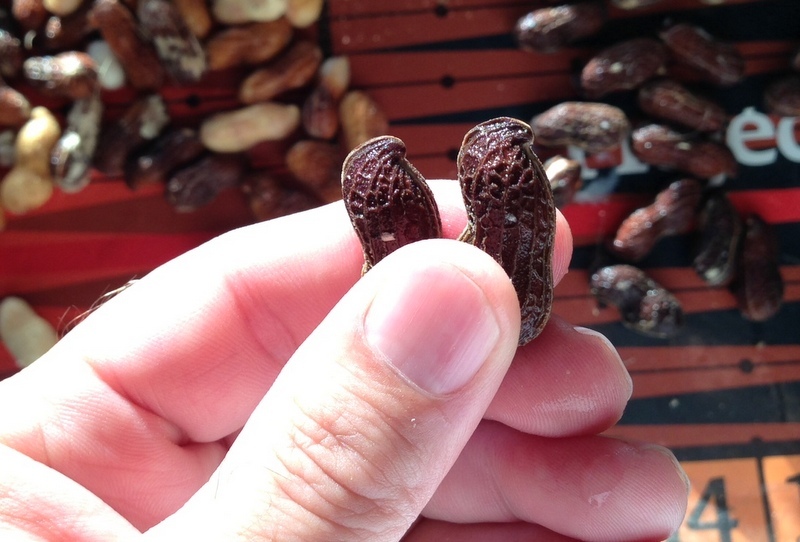 Last week I had a photo of 2 peanut pods that looked a little different. They have a different crook on the end of the pod, kind of like a nose on them. These are the new Ga 12 Y variety of peanuts. They are very limited in acreage now but they look good and yield well. They are not however Hi Oleic. I think we will be seeing more of these in coming years. I can often tell what variety a peanut is by looking at the pods. We have a good many Florun 107’s now and they are distinctive as well. The Ga 06G is still by far the most popular peanuts being planted. The other part of the question is why are they dark in color. Well they have had the outer skin blasted off so that we can see the internal skin color that darkens with maturity. We have been doing a lot of maturity testing to help folks decide when to dig. Most peanuts are going 140 days or so with these varieties, but we are seeing some come off at 135 days and some going to 155 days. 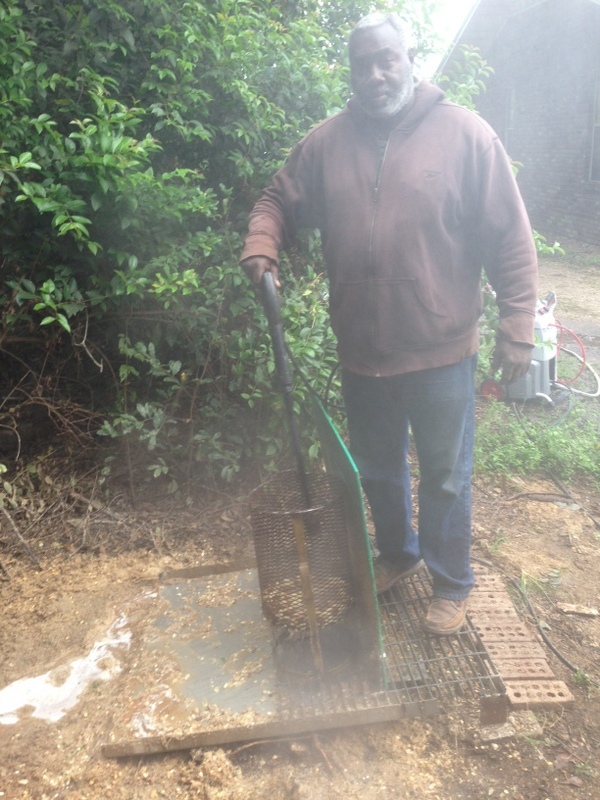 Here’s farmer Ray Hunter Jr. blasting some peanuts this morning. We decided his needed another week before digging. Here’s this week’s question. What is this that we saw this week on Parker road? Well, fall is here and the Fall Armyworm is living up to his name. I’ve had calls this week about them in hayfields again, in big numbers. Also, I looked at a young field of rye planted for grazing that has them there in abundance eatin’ up the young stand of grazing. 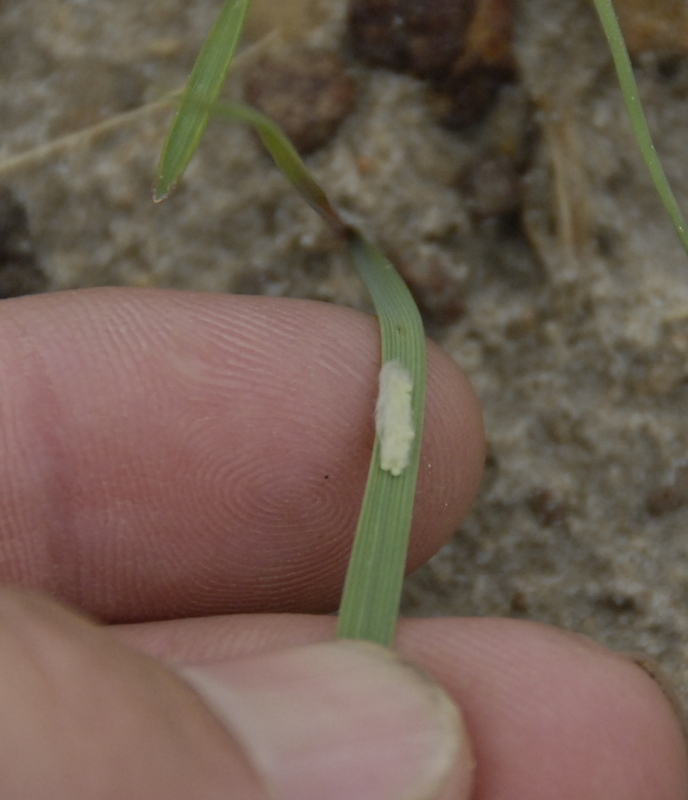 This first photo is of an egg mass that a moth laid on the rye that will soon hatch out to a couple of dozen new armyworms. Here you can see a young fall eating away. Here you can see the young field of grazing that is looking bad, the grower will spray soon or he’ll have to replant. 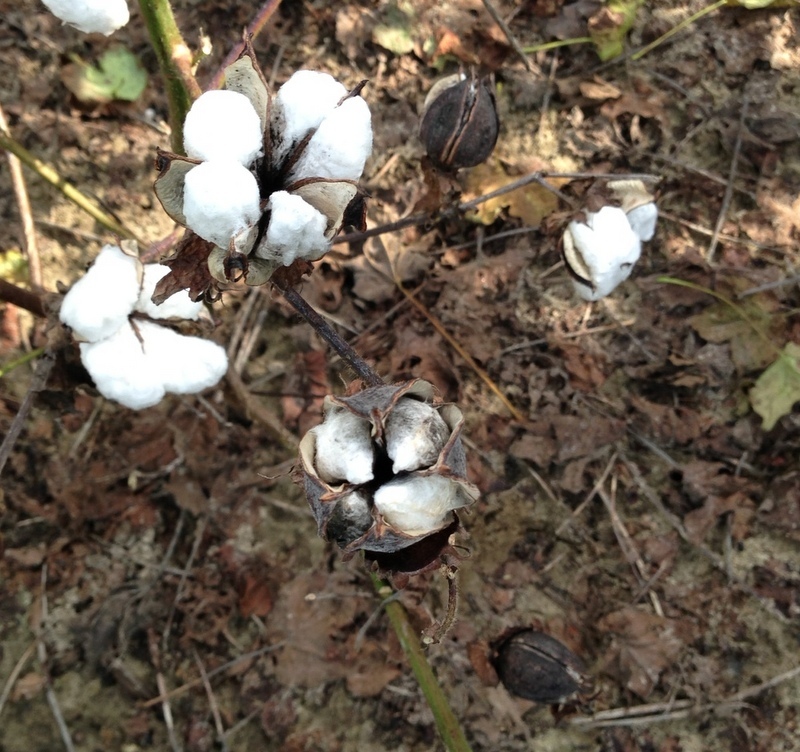 Cotton is affected by plant parasitic nematodes. We see it here worse in sandy soils as we have the Southern Root Knot that affects cotton and corn but not peanuts. It’s a different one that causes peanut problems. I’m seeing some now in many fields, Decatur county Ag Agent Justin Ballew and I found this affected area this week in southern, sandy, Seminole county. 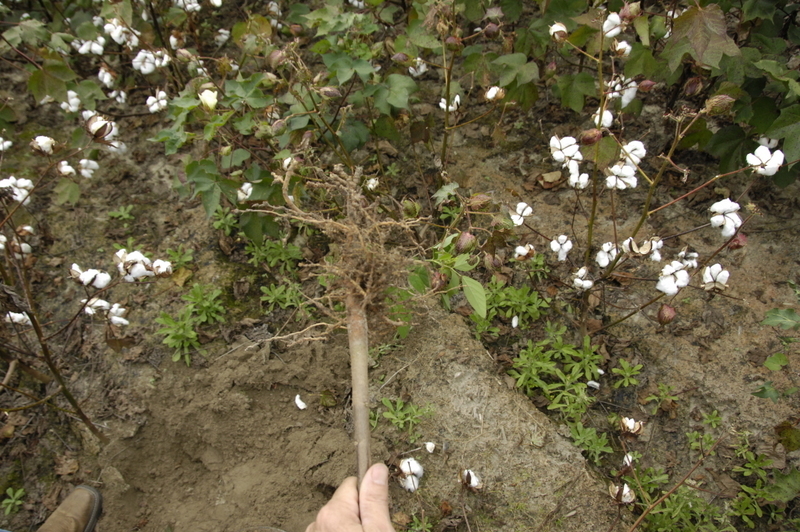 To see the root galling in cotton you often need a shovel as the small roots come off if you just pull up the plants. 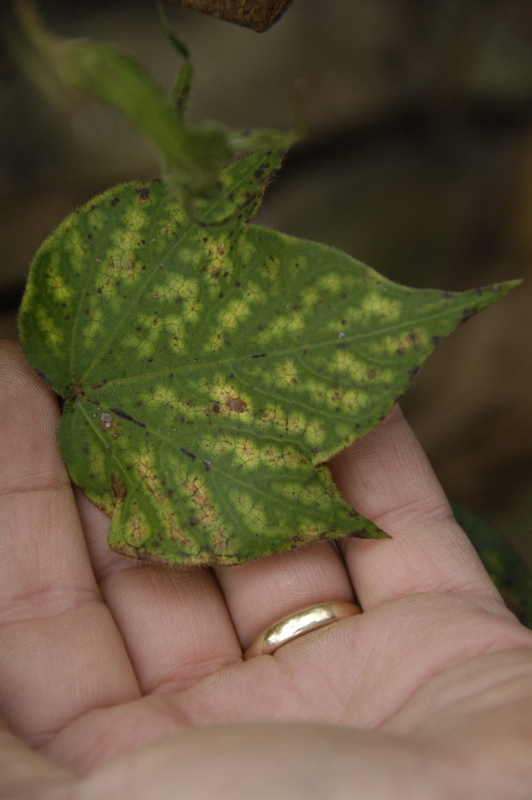 Its the time of year to scout cotton fields for this pest so you can take action the next time cotton is planted there. 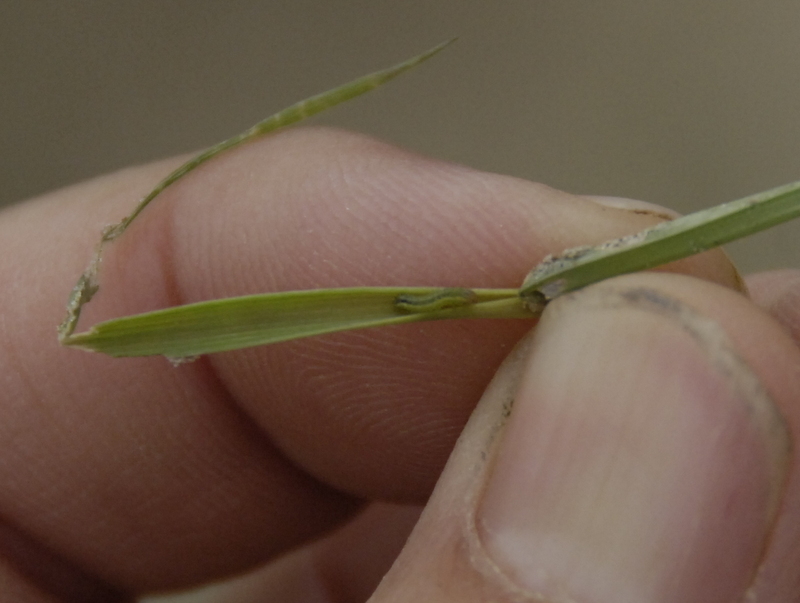 This nematode can also affect corn so that will need to be taken into consideration as well. Here’s some affected cotton and you can see the root galling and leaf symptoms, the early loss of leaves and stunted cotton plants. “Nematodes increase exponentially as the season progresses” , my UGA College of Ag professor said years ago and he was right. We have some serious nematode problems in many fields. I’ve seen several peanut and cotton fields lately that are affected. Earlier in the year we had serious effects in corn as well. These tiny eel-like worms tear up the root system and cause yield loss. 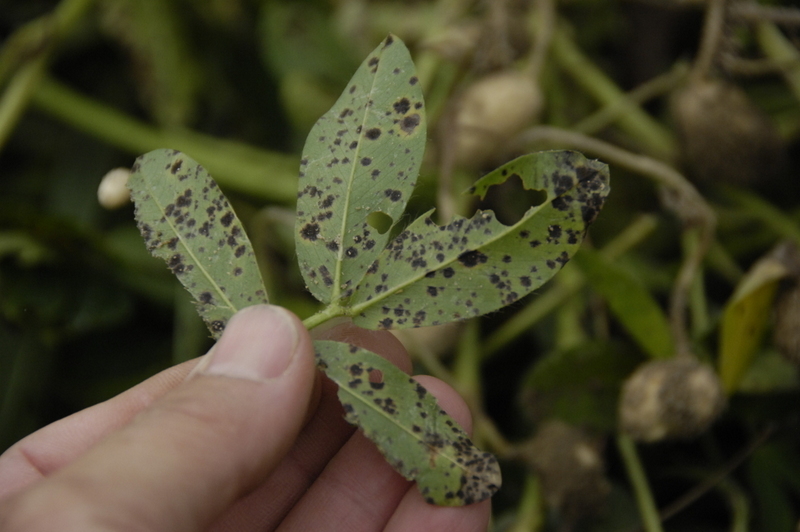 You sometimes don’t notice them early in the season, so now’s a good time to scout your fields to identify trouble. Often you first notice poor growth in an area and later you can even have plant death. Of course the Rootknot nematode will cause the galling on the roots. 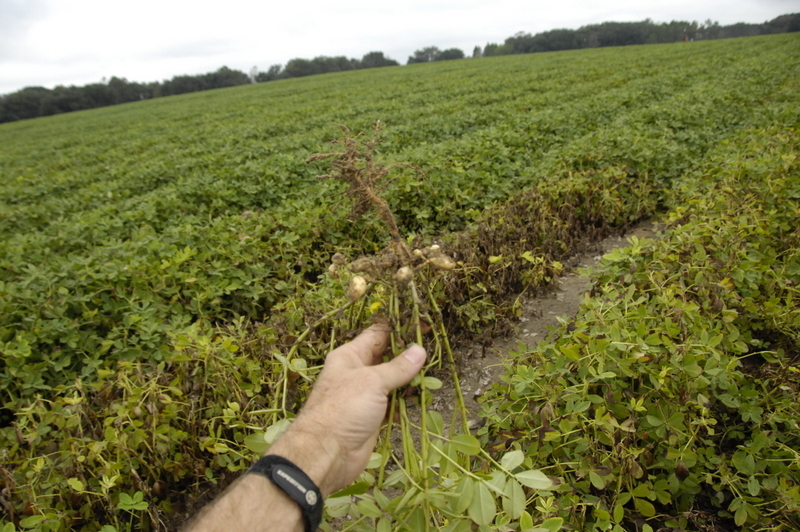 In peanut we have nitrogen producing nodules on the roots but they can be removed from the side of the root. 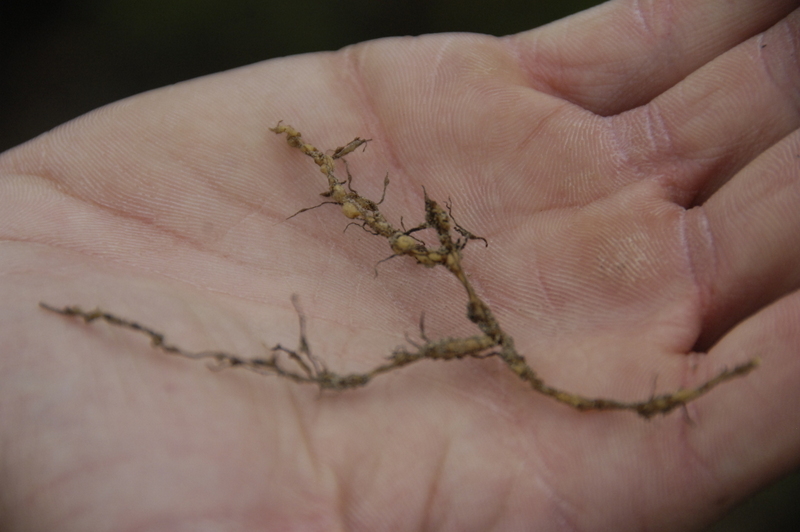 Nematode galls are a swelling of the root. often knots are seen on young pegs and pods as well. Here’s a field I looked at this week that is irrigated but has some serious nematode damage that will curtail yields. Remember problem fields so that the next time in the rotation you have the same crop in the field you can take action with chemistry or varieties against nematodes. 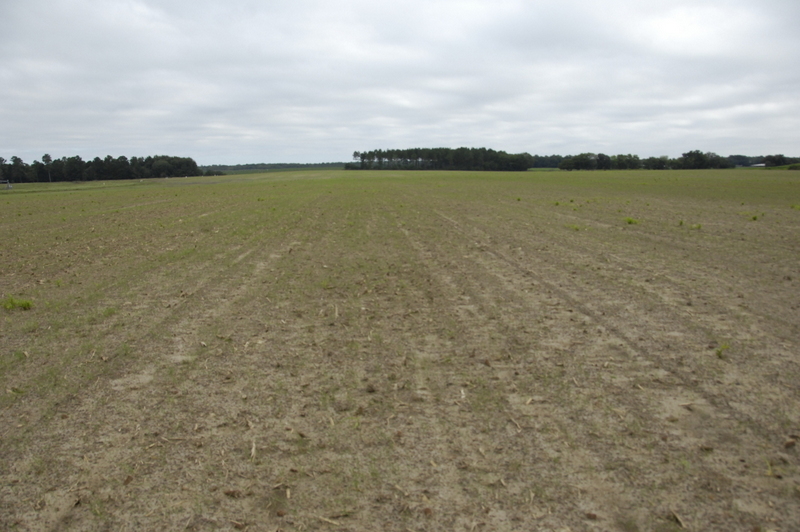 After visiting several dryland peanut fields that won’t make many peanuts at all. I was encouraged to see at least one that will make some peanuts. Our rains were very spotty and if you happened to be in a spot that got a few more rains during the growing season then it really helps. 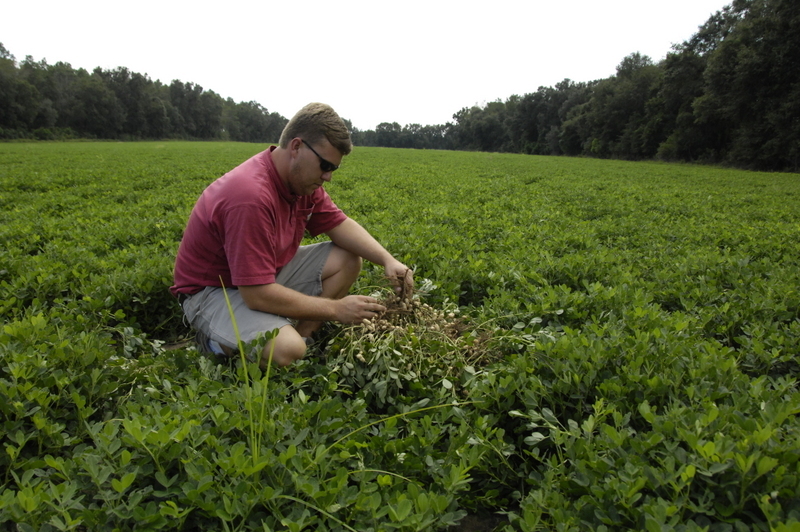 Here’s Jason Roberts with some of his dryland peanuts on Fenell Road that actually look pretty good. They still have a little pod rot like all dryland this year but they will make a crop. 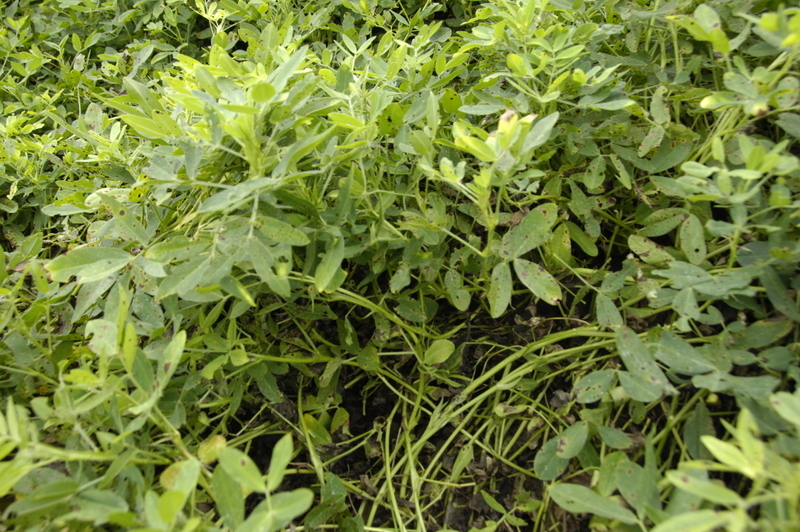 Peanuts need abundant rain until the 120 day mark with most varieties. 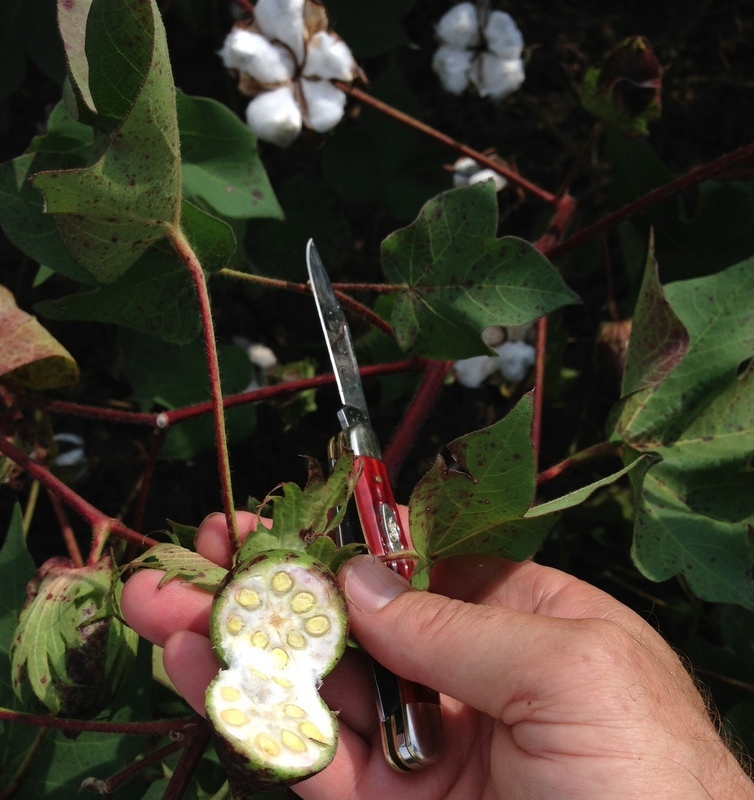 This is unfortunately what we are seeing a good bit of now in out cotton, boll rot and hard lock. We have been having lots of wet rainy conditions during boll opening and it’s not good. We had a good sunny day today that was good for cotton and peanuts that are awaiting harvest. 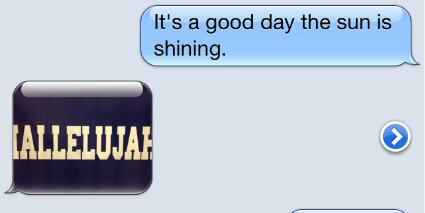 I sent a text to Wes Briggs, local consultant and this was his response. There have been a few dryland fields sprayed and picked this week. The yields have been low due top the dry conditions this summer. 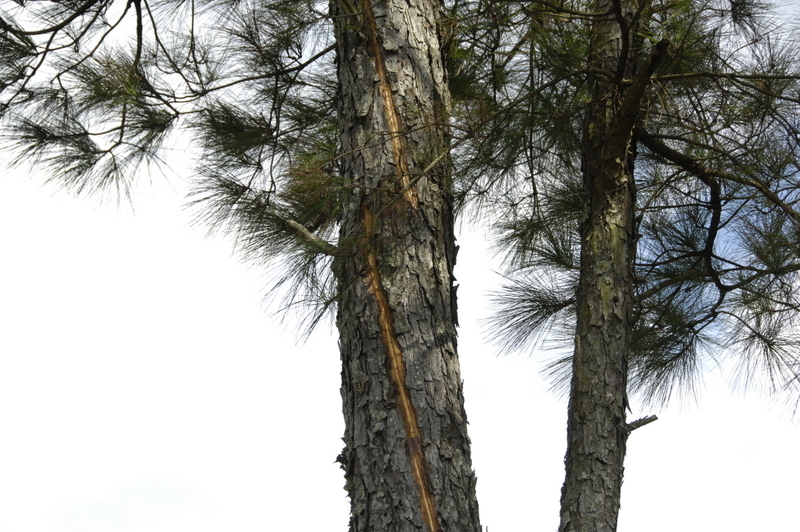 Yes, the pine trees got struck by lightning and the bark and cambium busted as the lightning ran to the ground. They will likely die in the near future. These were at the edge of an open field. That’s why we shouldn’t take shelter under trees during a thunderstorm, especially when they are the tallest thing around. I heard of a tractor that was struck as it sat under a barn in the same storm. 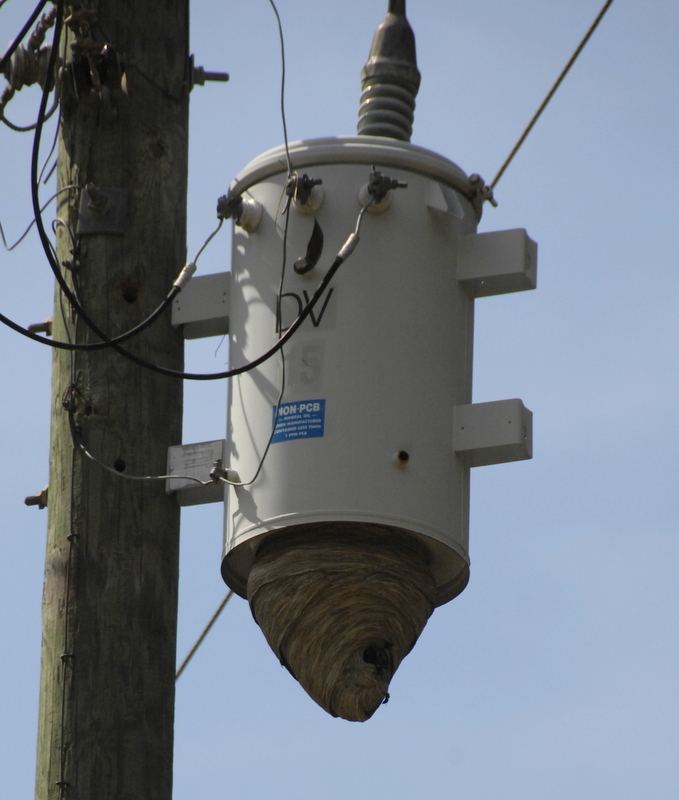 It had a disk harrow attached that was down into the ground behind it, grounding it. The farmer came by the next day and noticed the tractor lights were on and when he checked, the light switch was off. Then he noticed that it wouldn’t crank and lightning did a lot of damage to the electrical circuits. Would the lightning have affected it as badly if it were just sitting on its rubber tires with no implement in the dirt? This week I have a question about these peanuts. Why are they so dark and can you tell what variety they are? Rain at the right time ? We never seem to be happy about when the rain comes, and it rains on the just and the unjust, the Bible says. Many folks are saying that we didn’t get rain at the right time this year for many purposes. We are now getting rain when we need it to be drier for cotton opening and peanut harvest. We didn’t get much during the hot summer when it would have helped crop growth. We got too much during the spring and that kept it too wet to prepare for planting and to plant timely in some cases. Last year (2013), we got lots during crop growth and we made good peanuts in most cases but corn and cotton were off in irrigated fields. We are never more than 3 days from an agricultural drought on sandy soils so that makes things tough and dryland crops had a difficult summer in most areas. I was looking at the rain records in Donalsonville and wanted to point out some interesting things. Talk about one extreme following another! This first chart shows the rainfall from May 1 to Sept 1, that’s 4 months or about 120 days. During that time this year we got 10 inches of rain, when the norm is twice that. Remember last year? We got 4 times the norm during those months. Now, let’s look at the past couple of weeks. September 2 through September 17, that’s 16 days or half a month and we got about the same rainfall during that time as the previous 4 months. 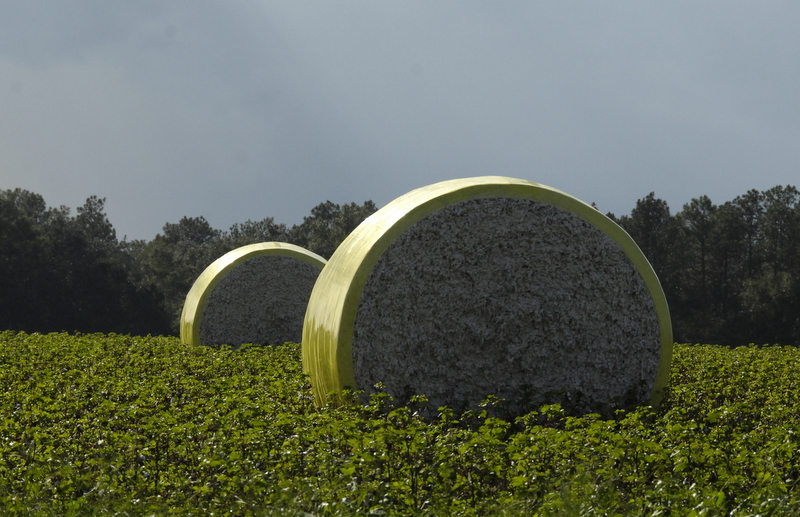 It’s good for the groundwater, maybe good for Apalachicola Oysters downriver, but not good for opening cotton, and not good for peanut harvest. No use in fussin’ about it but this is just an example of how the farmer is at the mercy of the weather. 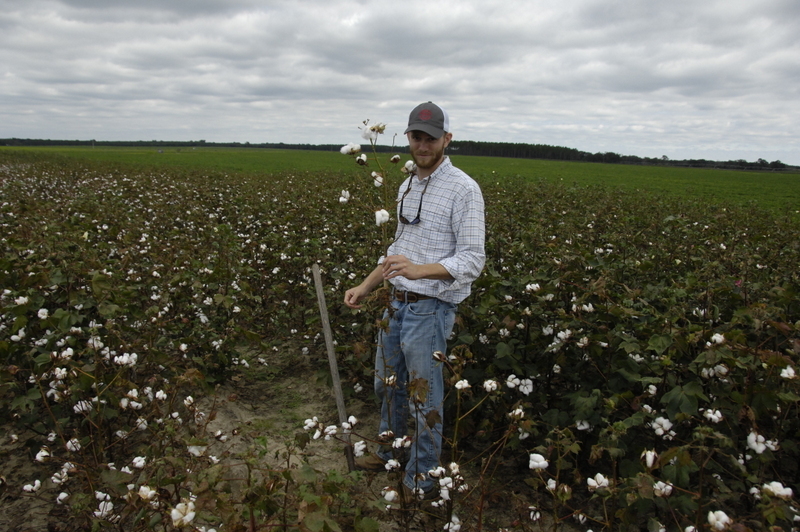 Today’s cotton grower faces many challenges to produce a cotton crop. Topping the list are an evolving pest complex and crop landscape, new and evolving technology, and shifting environmental and economic conditions. The seminar will provide an opportunity for cotton growers, crop consultants, researchers and extension agents working on solutions to discuss the events of the current growing season, exchange ideas, share information, and learn about new technologies on the horizon. Audience participation is important to the success of this seminar.So, please come prepared to voice your opinions, ask questions, and join in the discussions.